But both are time consuming. Both demand a lot of attention and require a lot of work and maintenance. As hobbies go, blogging is an intense one as it is a continuously growing community with so many IRL meet-ups, content schedules, growth and online groups to be a part of. Balancing the two can be tricky but ultimately incredibly rewarding as being a student blogger is lots of fun. As a student, you have a unique perspective on what being a student is actually like and can create content that is useful to other students. You know how expensive it is to live as a student in your city. You know what students are wearing, eating, doing and you have personal experiences to live on. You can share your experiences on studying for an exam, being a member of student societies, what you eat as a student, how you budget; the list is endless. It is a great spin to put on your status as a blogger and can really help to develop a niche. Accept that studying will sometimes have to take priority. University is incredibly expensive and it is a privilege to be able to attend. 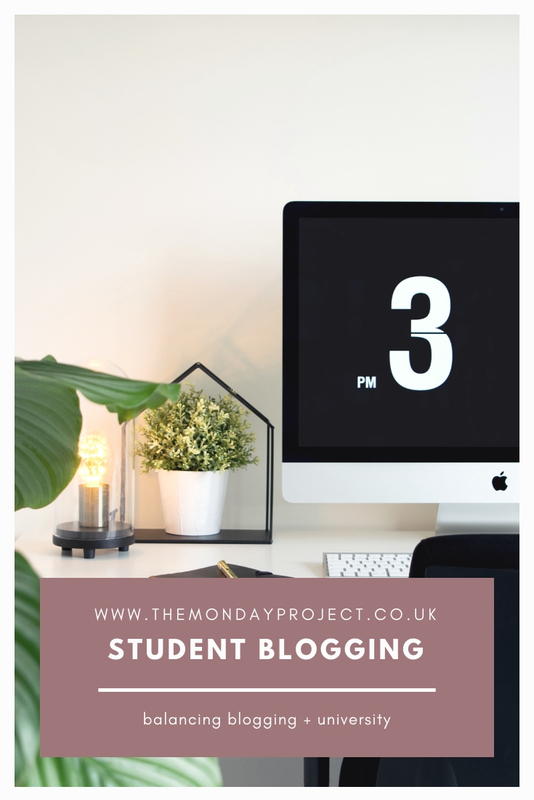 As much as having fun and blogging is a great way to spend your time, some of your time as a student will actually need to be spent studying. It will get to points in the semester where your blog might have to take a back seat in order for you to meet a deadline or revise upcoming exams. Don’t shirk off studying in favour of a blog post as you won’t thank yourself later. If you are working with brands on sponsored and gifting collaborations, try not to arrange to blog deadlines that will coincide with university deadlines as you just will not have enough time to work on both your best ability. One of the biggest shocks to my system when I started studying was the amount of free time I suddenly had. I was only in class around 10-12 hours a week as a lot of the work relied on me doing it myself in my free time. 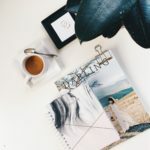 To prevent being overwhelmed and to be still be able to blog a couple of times a week, I relied heavily on my planner and organising my time so I was always in control and it didn’t feel like things were spiralling away from me. It also meant I had guaranteed time to blog! Explore and involve yourself in your local blogging community. Moving to Glasgow has been one of the best things that has ever happened to my blog. 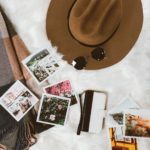 Being in a city gave me the opportunities and connections to live creatively, discover like-minded people and take my blog to a whole new level. Joining regional Facebook groups for bloggers is a great place to start as you can figure out who blogs in your area, read content from local bloggers and find events and meet-ups that you could attend. I would always recommend reaching out and asking a blogger for a coffee if you’ve been chatting/following each other online. We’re as a friendly bunch and I for one love making new friends in my city, especially those that share my passion for blogging. It took me a really long time to shout about my blog from the rooftops and I’m still awkward about it in some circumstances. By being shy about it and not letting your new friends know or not putting yourself out in the community, you are preventing yourself from spreading the word and gaining more traffic and new readers. University is an incredibly overwhelming space to begin with but being honest and proud of your blog, you’ll feel a lot more like yourself and not like you are hiding from it. Previous Post Creating blog content whilst travelling. Next Post Blogging Brainstorm: How to create quality blog content you love.